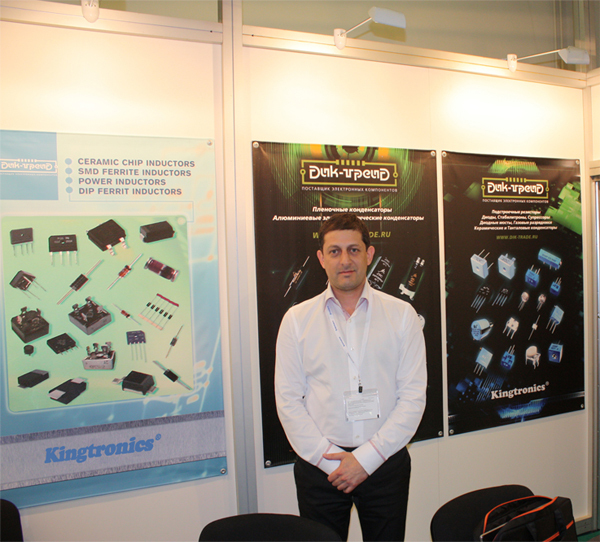 In past two years (2012 & 2013), we Kingtronics exhibited at Expo Electronica in Moscow, Russia and gained full success (good business from new customers). However, we were absent this April because one of our excellent business partners exhibited at New Electronics and will exhibit at Expo Electronica on behalf of Kingtronics. If you are in electronic components field, and want a reliable & stable business partner, pls email us at your convenience! Let's discuss further. Copyright © 1990 Kingtronics International Company. All rights reserved.